I’m skeptical about this (surprise, surprise, me, skeptical!) new device. If it works though, it sounds like it could be fairly revolutionary for people with celiac disease. You take a little bit of your meal and put it in the Nima and it tells you if it’s safe to eat or not. Of course, there are some drawbacks. If the gluten contamination isn’t distributed throughout the meal it could provide you with a false sense of safety. Eating out can be such a terrifying prospect for people with celiac disease. If something like this works, it could make the experience much less stressful and hazardous. Tags: celiac disease, eating out, gluten, Live Science, Nima, science | Permalink. Who else watches The Bachelor? I’m not ashamed to admit (okay, I’m totally ashamed to admit that I do). It’s a guilty pleasure. Unlike bread which is a pleasure without guilt. Which brings me to the short-lived contestant Breanne. When I saw this girl walking up to Ben with a basket of bread I thought “ooh, maybe this one’s a baker”. Sadly, no. She proceeded to tell him that gluten is Satan and she brought the bread for the express purpose of them smashing it on some rocks together!! My horrified boyfriend couldn’t have put it better. He groaned, “THAT WAS PERFECTLY GOOD BAGUETTE”. Does this mean that gluten-free has finally jumped the shark? It’s got to, doesn’t it? For someone to use the destruction of bread as an intro on The Bachelor it’s got to be near an end. Kudos to Ben for not keeping her around. Honestly, if I was him I would have just sent her packing then and there. 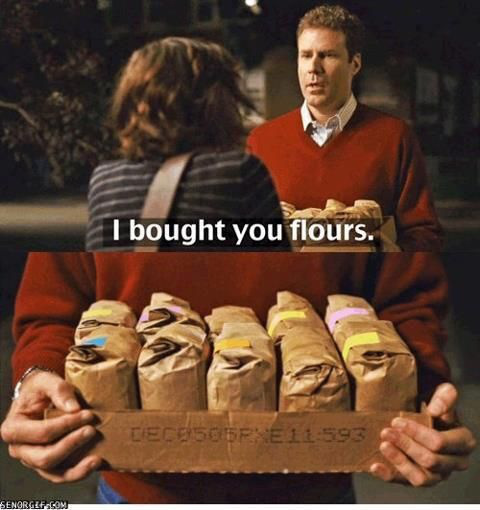 I would not tolerate the gratuitous abuse of gluten by a would-be suitor. 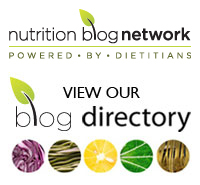 I would also like to take this moment to remind you that a “nutritional therapist” is not a registered dietitian. Pretty much any hack with a hate for gluten and a love for kale (sorry kale, you know I love you too) can call themselves a nutritional therapist. Unlike RDs, they are not accountable to any governing body. That means that there is no recourse for members of the public who are fed incorrect information by these “therapists”. They do not have to complete a university degree, nor an accredited internship programme, nor a national exam, nor provide evidence of on-going learning. Naturally, I had to take a little peek at Breanne’s website. Her “about” page is pretty revealing. She suffered from unnamed digestive issues and vitiligo and somehow cured herself through diet. While her website fails to make it clear, vitiligo is not related to digestive problems. It’s a loss of pigment in the skin. While in some rare occasions the pigment may return, it’s highly uncommon and almost certainly unrelated to diet. Digestive “issues” on the other hand, can quite often be managed by diet, although not usually cured completely. Not knowing what these mysterious digestive issues were I can’t provide much further comment on her self-treatment. All I can say is that different things work for different people and experiencing an ailment doesn’t make a person competent to treat others with similar ailments. Most telling, is what’s absent from Breanne’s website and that’s mention of her credentials. There’s nothing about where she received her education. If you’re looking for a credible nutrition professional, that’s something that you need to ask for. Make sure that you’re getting advice from someone who’s qualified to provide it. Dietitians aren’t registered for our benefit, we’re registered for the benefit of the public. Our regulatory bodies exist to protect the public and work to ensure that we’re competent to provide the best evidence-based advice possible. Tags: bread, Breanne Rice, dietitian, gluten, nutrition, nutritional therapist, registered dietitian, The Bachelor | Permalink. In case you missed it, Hoon Sunwoo, a professor of pharmaceutical sciences in Alberta has developed a pill that may allow people with Celiac Disease to safely consume glutenous foods on occasion. Carbonites rejoice! Tags: celiac disease, follow friday, gluten, Hoon Sunwoo | Permalink. If you really want to drive a dietitian to drink you should have a conversation about ridiculous fad diets in front of her/him (yes, there are a few male RDs, I swear). But I digress. So, here I am, innocently minding my business, when a couple of women nearby start conversing about their gluten-free diets and how much better they feel when they actually follow them. As in, when they “cheat” they eat a bunch of processed refined glutenous food. Then, as if I’m not being tormented enough, one of them starts extolling the virtues of the blood type diet. Yes, I too thought that one was passé. I guess, like mullets and crocs, we will never truly be free of the “eat for your blood type diet”. If you haven’t heard of it you’re lucky. I’m not going to provide you with a link because if you honestly want to read about that drivel you can google it. Yes, woman number two proceeds to tell woman number one about how great she feels when she’s following it and lists a number of the foods she can eat on this diet. All of them are nutritious whole foods. Both women marvel at the miracle of gluten-free blood-type diets. I begin to question if I am perhaps dead and have gone to hell. Ladies, I hate to rain on your fad diet parade but it’s not the gluten. It has nothing to do with eating for your blood type. You feel better when you’re not eating copious quantities of crap food because you’re not eating copious quantities of crap food. You don’t need a cleanse or a ridiculous diet to feel better. Just prepare and eat healthy food about 80% of the time and for the love of all that’s holy (or whatever), please don’t have these conversations in front of dietitians or your children. Children learn by observing and if they see their parent(s) struggling with food issues, following fad diets, falling off diets, guess who’s liable to end up following suit? Tags: blood type diet, eat for your blood type, fad diets, gluten, gluten-free, nutrition, role modelling | Permalink. A friend alerted me to this article last week. Before we look at the actual research study, I need to say this is terrible reporting. The headline proclaims: Gluten allergies may be reduced using hookworms. No. Well, maybe. But probably not, and that’s certainly not what the study was looking at. No wonder people are confused about gluten. The study looked at the effect of hookworms on gluten tolerance in individuals with celiac disease. Which, we know, is not an allergy. Celiac disease is an autoimmune disease in which consumption of gluten results in the destruction of microvilli in the small intestine in sufferers. Gluten allergy is a hypersensitivity of the immune system to the gluten (or one of its component proteins) protein. So… if you are allergic to gluten, don’t go infect yourself with hookworms and eat a sandwich. I wouldn’t recommend doing this if you have celiac disease either. Looking at the actual study… It was very small (12 people, two of whom withdrew from the study before completion). When a study is so small, it’s impossible to say if the results would extend to the majority of those with celiac disease. Setting aside the fact that I’m doubtful that the majority of celiac disease sufferers would willingly ingest hookworms in order to be able to consume gluten again. That being said, it’s quite interesting that the study participants were able to gradually increase their gluten intake to 3 g of spaghetti a day without experiencing any overt, nor covert (i.e. intestinal damage) symptoms of celiac disease. Of course, that’s not a lot of gluten (about one cup of pasta a day) and the study took place over 12 weeks, with the largest quantity of pasta being consumed over the final two weeks. It would be interesting to see if intestinal damage was visible after an extended period of time or if greater quantities of gluten could be consumed. Something else that I wondered about when reading the article was any potential complications from the use of hookworms. According to the Centre for Disease Control, most people with hookworms experience no symptoms. However, some many experience gastrointestinal distress and the most serious complication is blood loss leading to anemia, and protein loss. Essentially, celiac disease leads to nutritional deficiencies when gluten is consumed. 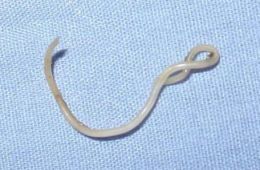 Introducing hookworms may allow celiac disease sufferers to consume gluten but may also lead to nutrient deficiencies. Alternatively, celiac disease sufferers can follow a nutritious gluten-free diet. Tags: celiac disease, gluten, gluten allergy, hookworm, nutrient deficiency, parasite, reporting, research | Permalink.